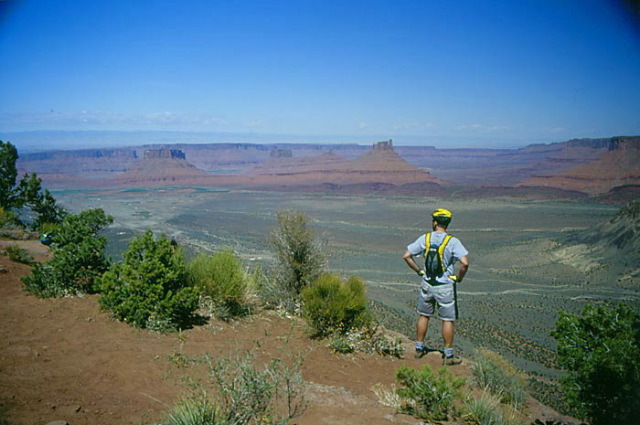 High anxiety viewpoint, Porcupine Rim Trail - Moab, Utah. View west into the spires in Castle Valley. This precipce drops about 800 feet straight down from the edge of Davids toes.